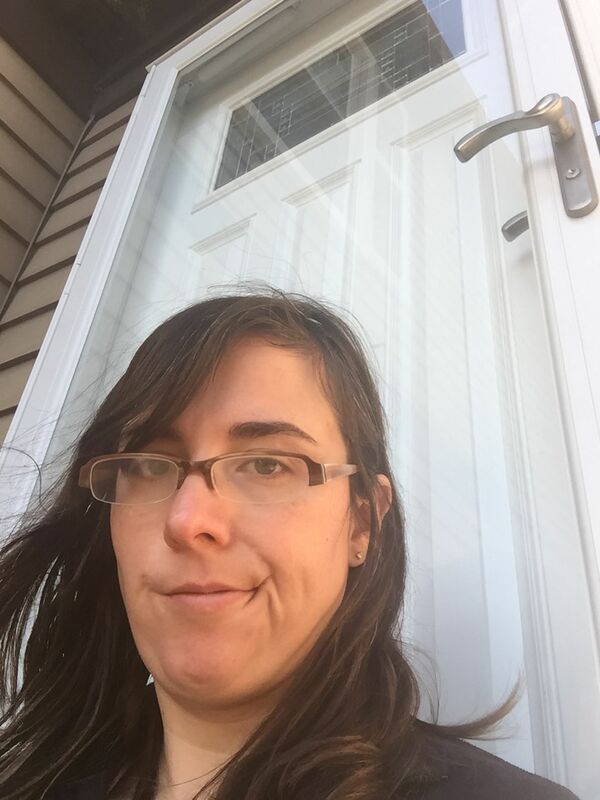 One Friday afternoon in August, I locked myself out of my house while my daughter was napping. I was so angry at myself for being careless—my inner dialog was full of curses and insults about my own stupidity. Thankfully, I had my phone. I called my husband and he left work to come rescue me. That left me with about 15 minutes to stew. To pass the time, I texted my friends (and my Mom) about how stupid I was. The first to text back was my Mom. Of course she was kind to me—but she always is! The second to text back was Lizzy, one of my fellow Stroller Strides moms (now an instructor). She was MUCH easier on me than I was on myself. She shared stories of her own lockouts, validating my frustration. But she also kept me company and told me I wasn’t stupid, just human. Everyone else did the same exact thing. I appreciated their sentiments, but my inner dialogue was still pretty negative. Once my hubby let me back in our house and I kissed my (still) sleeping daughter, I reflected. If the proverbial shoe was on the other foot, I would have told my own friends the exact same things they told me. I would never call them stupid, or curse at them, or berate them for being careless. I’d be kind—because after being locked out of their house on a hot August day, kindness would be exactly what they needed. So why couldn’t I just be kind to myself? That’s a light-hearted example. As moms, situations are often much heavier. But the same basic principles still hold true. We perceive so much we do as “wrong.” We perceive so many problems as our own fault. We focus too much on shortcomings. And don’t even get me started on body image. We are own worst critics. When people are kind and positive to us, it can be hard to accept. When we say horrible things to ourselves (that we wouldn’t dare say to anyone else), we often say them so loudly that we drown everything else out. Because here’s what I know about the people I love: they’d be honest, but kind. They’d help me work through my feelings, share constructive experiences, and help me see the positive when it’s falling out of my sight. And if I did need a kick in the pants, they’d give it to me—but in the form of guiding me to the answer I already knew in my heart, but hadn’t realized yet. Kindness is a gift that good people readily give to each other, but don’t often give themselves. As Moms, I’d love for us to freely give kindness to each other, ourselves, and our children. Now, if only I could take my own advice the next time I lock myself out.